Lyft has had a fantastic 2017. They have given double the number of rides that they gave in 2016, and have tripled their revenue. Also, they are far closer to profitability than main rival Uber, and they also still have higher a driver satisfaction rate than Uber. However, Lyft has its work cut out for them heading into 2018. They’re gaining on Uber, but still a distant second. Uber will likely spend much of 2018 continuing to deal with the fallout from their various 2017 scandals. However, Lyft can’t rely on that fact to help increase its market share in 2018. However, there are a few things Lyft can do to win 2018. What does winning look like? Well, if at the end of 2018, Lyft’s U.S. market share is between 35 percent and 40 percent, that’s a win. Lyft’s market share is currently around 25 percent. Lyft’s number one priority in 2018 should be to expand its regular user base. While Lyft was able to double the number of rides it gave in 2017 versus 2016, it’s still lags far behind Uber in regular users. Lyft should consider implementing a points based frequent rider program. A good model they could base the program on is the Starbucks star model. This type of reward system would give Lyft a leg up on Uber in this department because Uber only has a VIP program, that is not available to most of its riders. Lyft’s Power Driver Bonuses tend to benefit full-time drivers. Very few part-time drivers are able to satisfy even the lowest level power driver requirements. This gives Uber a significant advantage that results in them being able to put more part-time drivers on the road than Lyft. 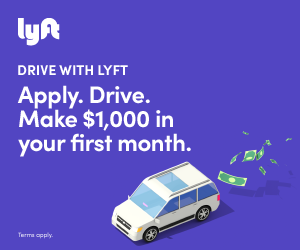 In order to get more part time drivers on the road, lyft needs to create a bonus that someone who drives 10 to 15 hours a week can hit. So Lyft should create two new types of bonuses specifically aimed at part-time drivers. One bonus should cover rides given Friday through Sunday, and the other bonus should cover Monday through Thursday. Neither bonus should have any peak hour ride requirements. The biggest gripe Lyft drivers have about the current bonus structure is the very high peak hour ride requirements. Most drivers prefer Lyft to Uber. However, that doesn’t hold true when it comes to the driver app. Overwhelmingly, drivers prefer the Uber driver app to the Lyft driver app. It’s more intuitive, and has a cleaner interface. Sure, Lyft has added Google maps integration to the driver app, which was a strong step in the right direction. They also recently changed how the driver app displays earnings. Before, the app would display total ride payments made by customers. Most drivers found this very unhelpful as they wanted to know what they were getting paid, not what the customer paid. 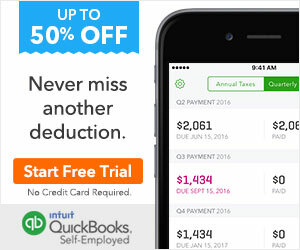 Thankfully, the app now shows a driver their net earnings. However, the Lyft driver app is still buggier, slower, and has fewer features than the Uber driver app. Lyft needs to embark on a complete redesign of the driver app, while leveraging its strategic partnership with Apple to get some help in this area. Nobody does intuitive user interface better than Apple. Also, there’s one more minor, but important, change Lyft needs to make to the driver app. Often, when a rider selects a restaurant or hotel as their destination (instead of entering a street address), the driver only sees the name of the place, they don’t see an address. Every single Lyft driver hates this. Knowing the name of a restaurant or hotel doesn’t always help the driver. Lyft needs to change the driver app so that it always displays the address of a destination, not just the proper name of the business. This issue has been the bane of all Lyft drivers for years now, and it’s such an easy fix. Just change it Lyft. In addition to revamping the driver app, Lyft also needs to revamp the rider app, again with help from Apple if possible. In addition to starting a frequent rider program, Lyft should also explore adding a payments system to the rider app, similar to what Grab has done in Southeast Asia. The reason for this is that it’s something that Uber isn’t doing that good be a substantial additional revenue stream for Lyft. If possible, Lyft should restart its strategic partnerships with Ola or Grab. This may be a tall order since eventually Lyft, Ola, and Grab intend to operate in the same markets. However, when it comes to increasing your user base, every little bit helps, and these types of partnerships generally don’t cost much. Additionally, Lyft needs to do a better job of targeting small and medium sized businesses. A version of the frequent rider program mentioned earlier could also work to entice businesses with less than 500 employees. While doing this might entail hiring additional sales staff, in order to further expand its user base, Lyft has to try things it hasn’t done it before. Another thing Lyft should explore in 2018 is starting a food delivery service, similar to UberEATS. Uber has had a terrible 2017 overall, but UberEATS has actually been a bright spot for the company. Uber operates UberEATS in over 100 markets, and it’s profitable in roughly a third of them. Starting a food delivery service will help Lyft in a couple of ways. It will make Lyft more competitive in suburban areas where Uber is usually stronger. It will also incentivize full and part time Lyft drivers to stay online during the slower times of day. This will in turn lower overall passenger wait times on the Lyft system. The last thing Lyft should do is to develop an in-app and in-vehicle advertising program that shares revenue with the drivers. There are already a number of companies that provide rideshare drivers with an additional source of revenue through in car advertising. Lyft should buy one of these companies, integrate its functionality with the driver and rider apps, and give the driver a cut. I didn’t include raising rates on this list because Lyft, and everyone else in the world, already knows drivers want higher rates. If you drive for Lyft, and have some more ideas of what they should do in 2018, leave them in the comments below. Be sure to check back tomorrow for the 3 things Uber needs to do to win in 2018.